150 children are saved from a fire in a massive Bnei Brak daycare center. Emergency exit saved lives. 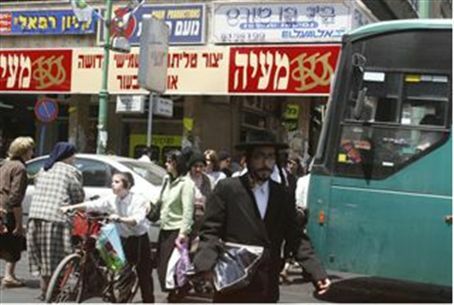 The fire started in the basement of the building, located on Meshulam Rahat street. Hatzalah volunteers quickly cleared the children from the building while firefighters battled the blaze. The presence of a working emergency exit was credited for allowing the dramatic rescue. The fire spread to the daycare center and caused heavy damage. The synagogue, located on upper floors, was not damaged.